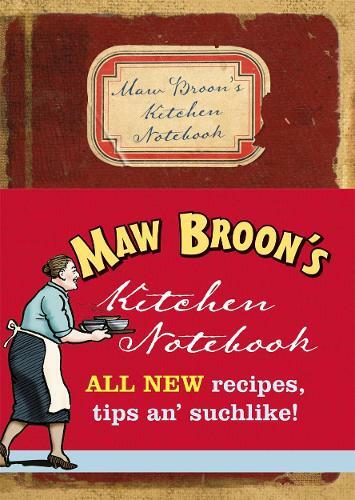 New and original material in Maw Broon's Kitchen Notebook - this new notebook is the perfect gift at a great price. It contains variations of Maw's best recipes from her four cookbooks, with new recipes for shortbread, tablet, soups etc, plus kitchen organising secrets and lots of original funny material from Maw, Scotland's favourite matriarch. The notebook also contains some blank pages fro your own notes.